As we move into August (named after that all around swell guy Augustus Caesar), things are hot where I am. Hope that the weather is treating you better. Not that we follow themes too closely here, but we will being looking as personalities and persons this month. If there is something you want to see, write a comment or post in the Sea of Stars forum. Sadly, I am not making it to GenCon this year but hope that everyone who does has fun (and check out my advice for those going). Ultimate Options: New Arcane Discoveries builds on the new arcane discovery mechanic introduced in Ultimate Magic, providing a variety of new possibilities for modeling classic wizards from fiction and making more interesting wizards for all. Ultimate Options: New Arcane Discoveries is a 10-page PDF (9 pages if you remove the credits/OGL page) for the Pathfinder RPG written by Owen K. C. Stephens and published by Super Genius Games. This is part of Super Genius Games’ Ultimate Options line. The elven sorcerer laughed as the clumsy Ducal swordsmen -well, he made them look clumsy- tried to grab him as he ran down the table. A group the got too close were bathed in flashing rainbow light and fell away. “Get him!” screamed the Duke. A trio of crossbow men fired. Two of their bolts deflected off an invisible shield, but the third struck home. “I am wounded!” cried the sorcerer, speaking a word and leaping to a open window, half way up the high ceiling. “I know when I am not wanted.” With that he pitched himself out of the window. “Find him! Kill him!” frothed the Duke. I just shook my head, knowing the sorcerer as a ham and that the wound he suffered would soon be as vanished as he was from the Duke’s presence. You draw health and life energy from your magic. The sorcerer laughed as his conjured fire burned through the first rank of soldiers. The volley of crossbow bolts that rained down upon him were deflected by a haze that radiated from him like heat. The Silver Band had finally arrived. Now the sorcerer would have a real fight on his hands. Your magic creates a momentary aura that protects you from harm. The day had come, years of preparation and hundreds of lives lost, to put all of the pieces in place for the rebellion, the rebellion that would end the tyranny of the sorcerer-king. ould consume their mortal flesh but would protect their fellows. The other took the weapons that has be collected, made and smuggled in over the years. As dawn lightened the skies, the rebels struck. The sorcerer-kings soldiers fell quickly, the survivors retreating to the citadel where the king’s pawns, sorcerer in their own right were prepared to strike the rebel down with thunder and fire. But their magics failed them, the rodsmen shatter their spells as they were formed and the citadel fell as the servants inside turned on their hated masters. Dozen of brave men, new ones taking up the rods as the wielders, spent their lives to guard their friends and family. The sorcerer-king fought to the last, when his magic could not be countered, it torn through the ranks of the rebels but most of his magics died, as the sorcerer-king did as well. These rods were created by a religious sect to battle against the sorcerer-king who oppressed their people and their faith. These were the items they created to defend the leaders of the uprising, made of intricately carved wood bearing line after line of prayers and protective script, capped with silver, a holy symbol on one end, the mark of death on the other. The rod is heavier that its construction would imply and any sound made by striking it against something seem muted and hollow. robbers in an 18th/19th C. Englandish place. It is a little slow paced at the start, but soon picks up. It borrows its look from the Hammer Horror movies, consciously aping the style, look and pacing of that era. It has interesting undead, villainous humans, grave robbing and Ron Perlman as a monk. If you do not mind a mix of campy horror and humor, give this movie a look. I suspect that someone could build a nice Fiasco scenario out of the pieces of it. It would also be an excellent inspiration for Warhammer and other gritty fantasy. Take a look if such craziness interest you. 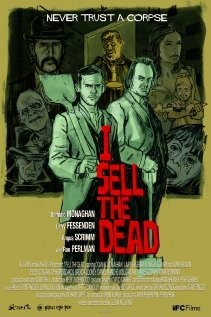 Image borrowed from the IMBD page for the film. Once Upon the Time is inspirational with some useful ideas, unfortunately it is hampered by a poor conversion to the Pathfinder rule set. I hope that a second edition with a cleaned up and improved set of rules for Pathfinder will be released soon. Once Upon A Time: A Guide to Fairy Tales for Pathfinder is a 46-page PDF (36 pages if you remove the cover, OGL and ads) written by David Caffee and published by Avalon Games. You are currently browsing the Sea of Stars RPG Design Journal blog archives for July, 2011.